And here is another braids and curly hair combo I created . Simple yet striking! This is the first time I’ve installed the cherish- Spanish curl in a long length. 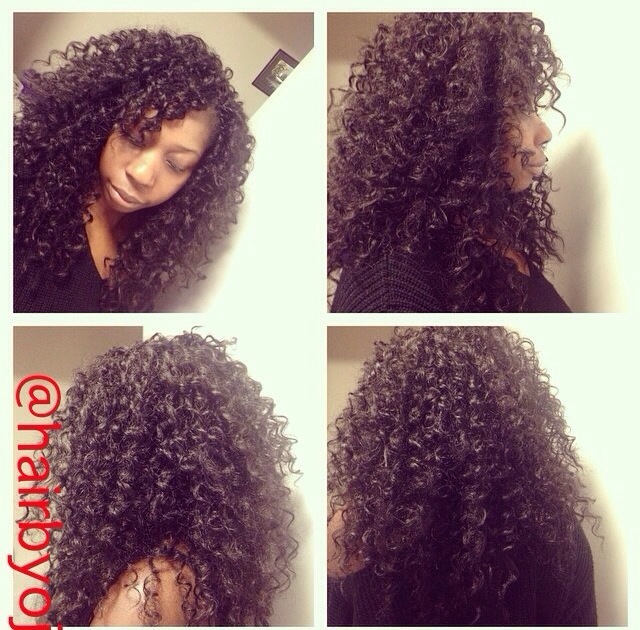 This client who had used the cherish- Spanish curl previously to do a shorter hairstyle loved it so much that she decided to do it again with a longer length. Evidently it looks great on her! 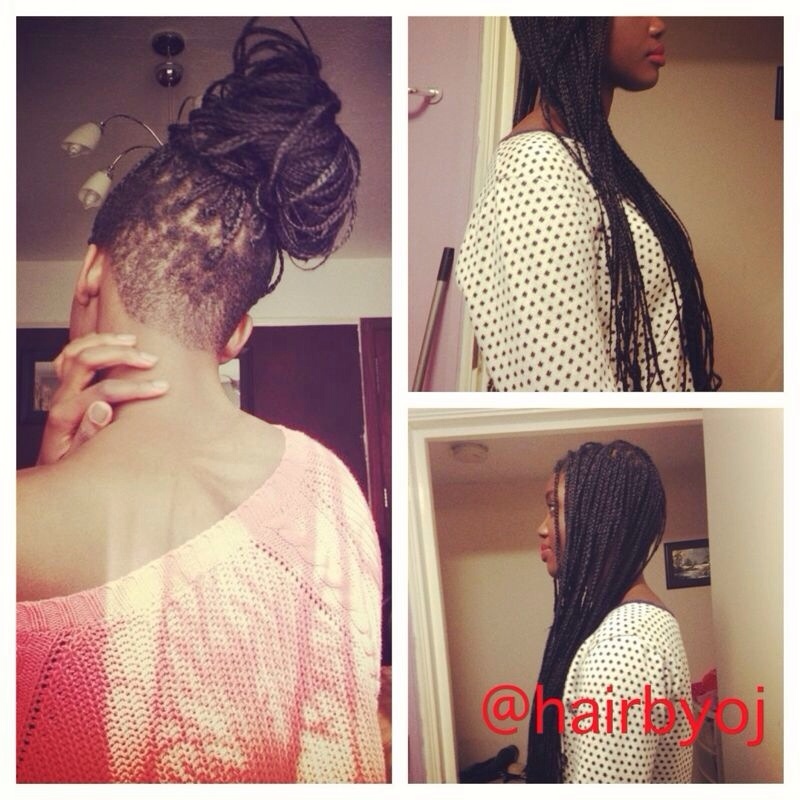 Shown client had never before installed braids so was skeptical as to what the outcome would be. 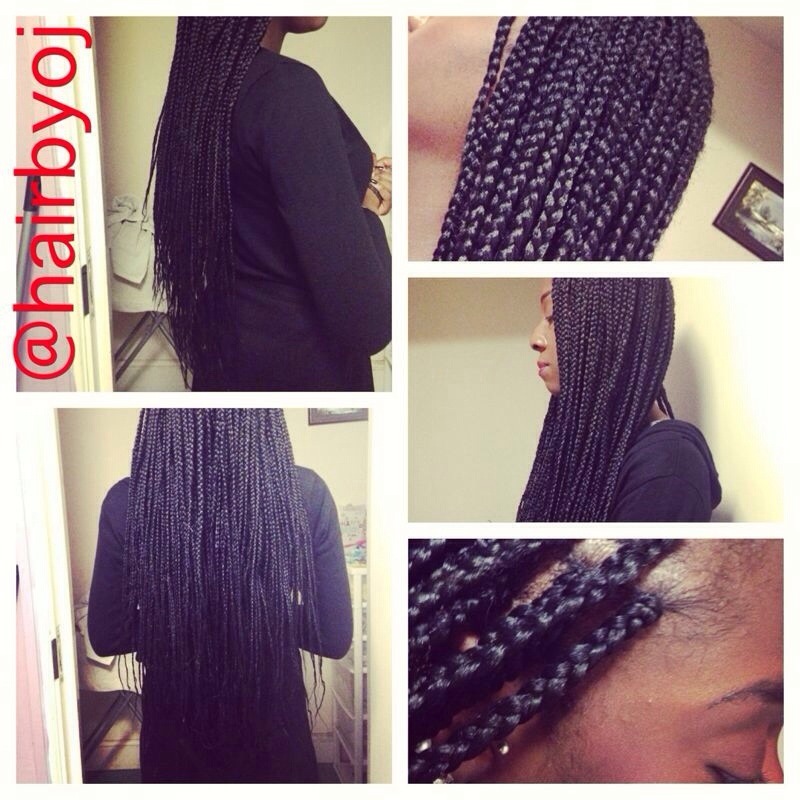 She wanted the braids to look quite subtle and easy to maintain hence the medium size and waist length. She loved the end result! Here is another illustration of my forte- braids. I must highlight- these are the longest length I’ve installed on any client thus far. 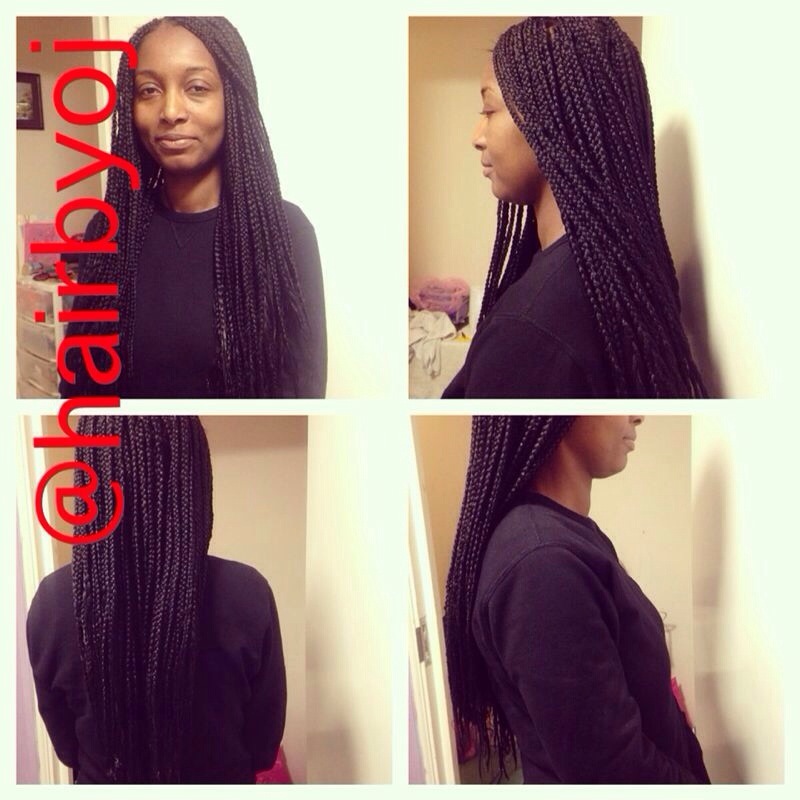 The braids extended to the client’s bottom – which perfectly suited the tall lady, so the braids enhanced and effectively complimented the client’s height (very solangesque). The partings were very small so to enable the client’s desired ‘full’ and plentiful appearance. Although extremely long, the practical size of the braids allows the hair to be easily manipulated and styled into buns, ponytails or any type of style you desire! Shown client has medium sized waist length braids. The client has shaved her hair in the past so I found it almost impossible to grip the back of her hair. However, after a rapid trip to the barbers, the shaved back adds a punky, trendy edge to the braids. This goes to show that braids don’t have to be boring and simple, the shaved back is emblematic of the versatility and unique style braids can carry. So don’t be afraid to try something daring with your braids! So about a week ago I was contacted by the publishers of trailsntresses asking if they could do a hair feature on me. Of course I agreed to it. I was asked a series of questions with which I had to support with photographic evidence regarding my natural hair journey. I’ve never had a feature posted on any kind of public site, so I was pleased to have been given the opportunity to do so. I’ve posted the link, take a look at it! 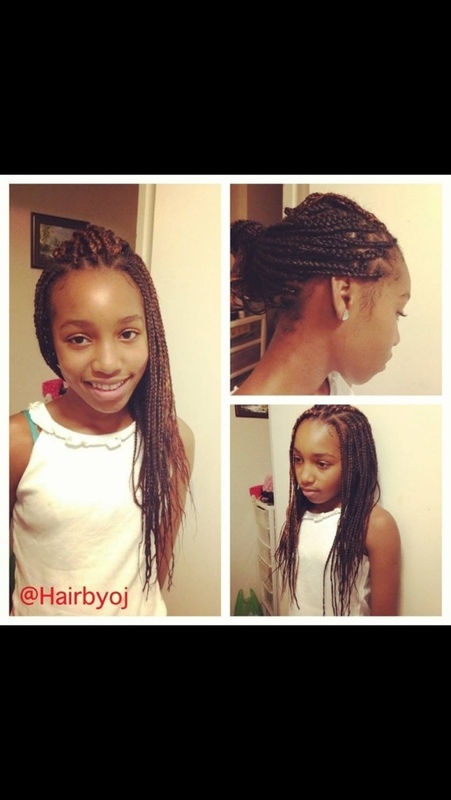 These are medium sized box braids, they took a short amount of time to install and they are the perfect size for the client who is only 11 years of age. They are suitable for school and take little to no time to style in the mornings!